Veterinarians | Southern Hills Veterinary Services, Inc.
Dr. Ryan Shuey has been an associate veterinarian here at Southern Hills Veterinary Services Inc. since 2016, but has worked at this clinic with his father Dr. Scott Shuey for as long as he can remember. Dr. Shuey first attended Central College in Pella, Iowa for two years before attending veterinary school at Iowa State University. Dr. Shuey enjoys spending his free time with his Fiancé Adrianna and dogs Newton and Jazzy. The four of them watch Hulu together when Dr. Shuey is not playing tennis or working with his family’s cow herd. Dr. Shuey loves performing surgery and pulling baby calves. He is also currently an Iowa Veterinary Medical Association Emerging Leader. 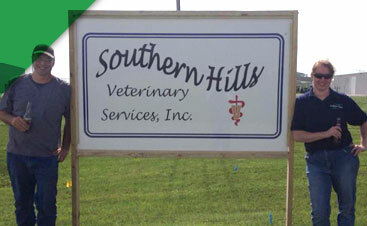 Dr. Scott Shuey has been with Southern Hills Veterinary Services for 22 years now. During this time he has helped the company grow from one location in Corning to 4 locations across Southwest Iowa. Dr. Shuey is originally from Tecumseh, Nebraska, but moved to Corning following his graduation from Veterinary School at Kansas State University. 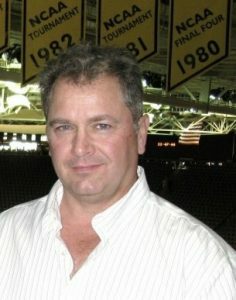 Dr. Shuey also has a Masters Degree in Ruminant Nutrition from South Dakota State university. 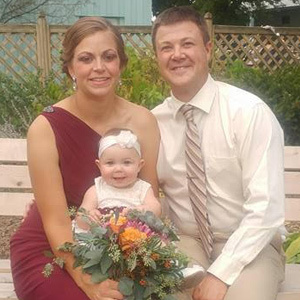 When not helping manage the business side of SHVS Dr. Shuey enjoys attending activities with his wife and three children: Ryan, Madison, and Morgan. He also enjoys working with his Red Angus cow herd and taking his two dogs Winston (Dalmatian) and Graham (Corgi) on walks. Dr. Shuey’s favorite activity on the job is pulling calves. 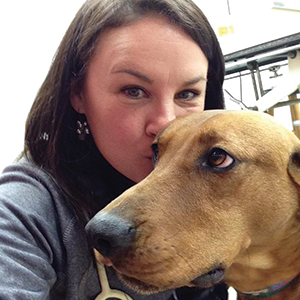 Dr. Melissa James started with Southern Hills Veterinary Services as a small animal doctor in August of 2014. She grew up in Falmouth, MA but now lives with her husband, Brad, and two children, Lilly and Ben, by Creston. She received her B.S. from UMASS Amherst and her DVM from Kansas State University. When she isn’t at the clinic, Dr. James enjoys running, traveling, shooting/hunting, and raising bottle calves. Dr. James has many pets at home including Astro, wirehaired pointing griffin; Ladybug and Otto, house cats; Jingle the guinea pig; Jake and Ginger, ponies; and an assortment of calves, chickens, and barn cats. Dr. James enjoys helping sick/injured animals become well and playing with the kittens. 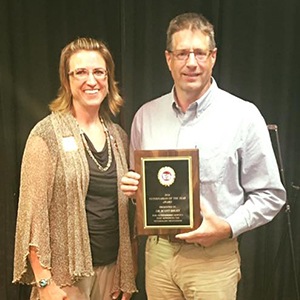 Dr. Greg Weis came to Southern Hills Veterinary Services fifteen years ago following graduation from Iowa State’s College of Veterinary Medicine. Dr. Weis is originally from Afton, Iowa which lead him to first attend SWCC in Creston before receiving his bachelor’s degree from Northwest Missouri State University. Dr. Weis currently lives in Creston with his wife Joan and three sons Joel, Ben, and Bradley. When Dr. Weis isn’t busy working cattle he enjoys working around his own farm or watching college sports. Dr. Weis also enjoys spending all the time possible with his granddaughters Everly and Adele. Dr. Aimee Anderson has been with Southern Hills for eleven years following growing up in Avoca, IA. 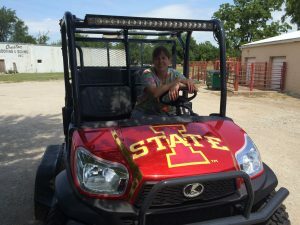 She moved back to the area after receiving her bachelor’s degree from Northwest Missouri State and Doctorate from Iowa Stat’s College of Veterinary Medicine. In her free time Dr. Anderson enjoys camping and trail riding with her horses peach, Lady, and Smokey while her husband Mike and daughters Lilly, Lyssa, and Loryn ride their mules: Tally, Brandie, Ellie, and Sis. Dr. Anderson and Mike’s son, Tucker, just rides with mom for now. Dr. Anderson also enjoys gardening, cooking, and taking care of her may other animals. Dr. Anderson is actively involved with Montgomery County Animal Rescue, St. Joseph’s Catholic Church – Villisca, and is a Southwest Iowa Veterinary Medical Association Board Member. Her most enjoyable part of the job is that it’s never boring how it allows her to build relationships with animals owners. 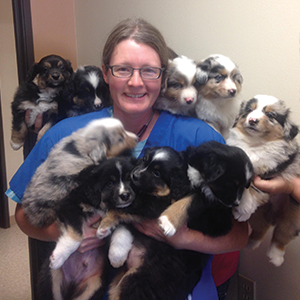 Dr. Krista Davies came to Southern Hills Veterinary Services 14 years ago following her graduation from Iowa State University in 1996. She now lives in Corning, Iowa with her husband of 22 years, Steven and three children Sydney, Samantha, and Joshua. Her and her family have a yellow lab named Dan, two cats named Skittles and Walker, and Caramel the rabbit. In her free time, Dr. Davies enjoys doing DIY projects and other family activities. 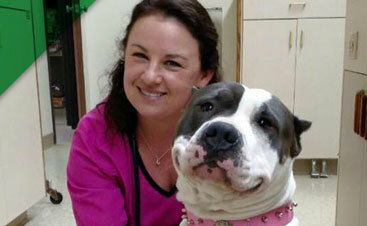 Being a part of peoples’ lives through their animals is Dr. Davies most enjoyable part of the job. 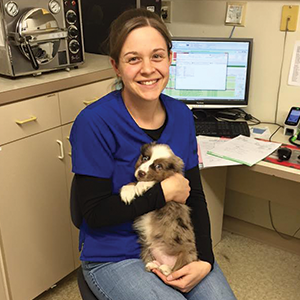 Dr. Kate Fridolph has been a veterinarian at Southern Hills Veterinary Services and in Southwest Iowa since May 2012, but grew up in the little town of Loraine, Illinois. She graduated from the University of Illinois at Urbana-Champaign College of Veterinary Medicine in 2012 and from Southern Illinois University at Carbondale in 2008 with a Bachelor of Science in Animal Science. Dr. Kate currently lives in Red Oak with her husband Tim, daughter Lexy, and their menagerie of cats, dogs, horses, and a mule. In her free time, she enjoys walking with the dogs, horseback riding, baking, and helping out as a 4H leader. Dr. Kate’s favorite part of the job is sending home a pet that was previously very sick to its people and seeing the excitement in the pet and the people! Dr. Nathan Sunderman joined Southern Hills in October of 2017. 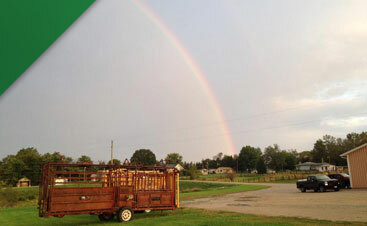 Nathan joined the staff as an Associate Veterinarian and is a native of the Villisca, Iowa area. He received his Doctorate of Veterinary Medicine from the Iowa State University College of Veterinary Medicine in 2015 and earned a Bachelor’s of Science in Animal Science in 2010. Nathan is currently serving on the executive board of the Southwest Iowa Veterinary Medical Association. Nathan and his wife, Marissa have a one year old daughter, Adaline, and a second daughter to be joining the family in February of 2018. Their pets include two dogs, Belle, an Australian Shepherd, and Ellie, a Pembroke Welsh Corgi. 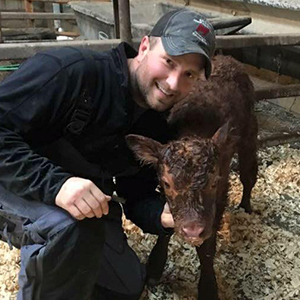 Nathan’s hobbies include farming, where he is actively engaged in a small cow/calf and row crop operation, being outside, and spending time with family and friends. Nathan enjoys the opportunity to work closely with clients to not only solve issues, but help them take a proactive approach to maintaining health and ultimately ensuring their place in animal agriculture. Shannon McMurray will be an associate veterinarian at Southern Hills Veterinary Services Inc. starting in 2019. Dr. McMurray first received her degree in Animal Science from Iowa State University and attended University of Illinois for veterinary school. Some of her interests include internal and emergency medicine. 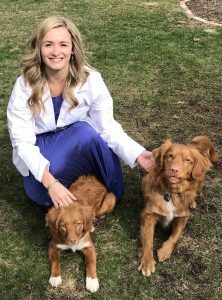 Dr. McMurray enjoys hiking and camping with her husband and their two Nova Scotia Duck Tolling Retrievers, Knox and Roux.